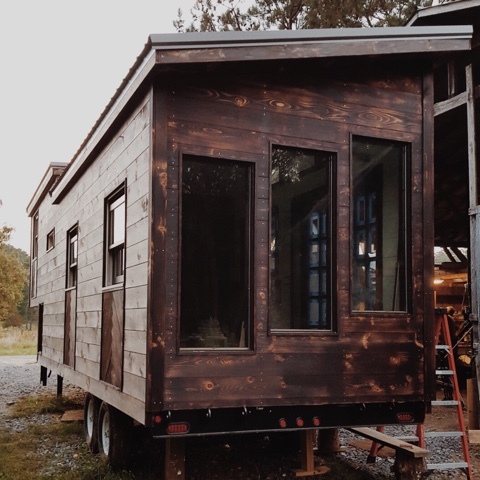 After months and months of planning, prepping, communicating, designing, shopping, and waiting... Our little tiny house has landed on the property. Yeee! These photos of the house are from before it left Tennessee - I'll have some new ones to share soon, now that it's finally here with us. This weekend is all about getting settled. We need to get the solar energy set up, level the house, get the gray water system worked out, move our stuff in (then inevitably, move things out that don't end up fitting), plant some trees to accept the gray water, build steps so we can get into the house, get our fridge and compost toilet, create some fancy storage systems, etc. etc. I'm a ball of excitement and nerves over here. 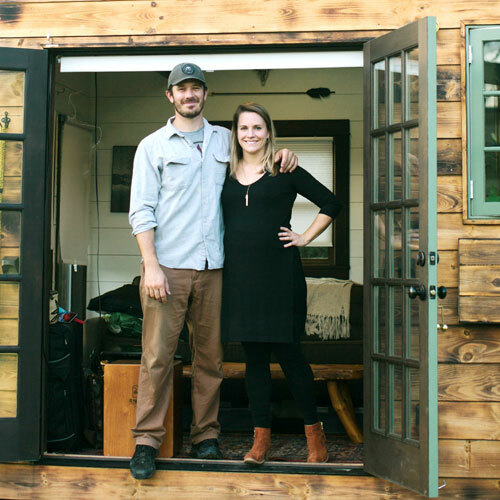 I'm looking forward to sharing more info about our home. 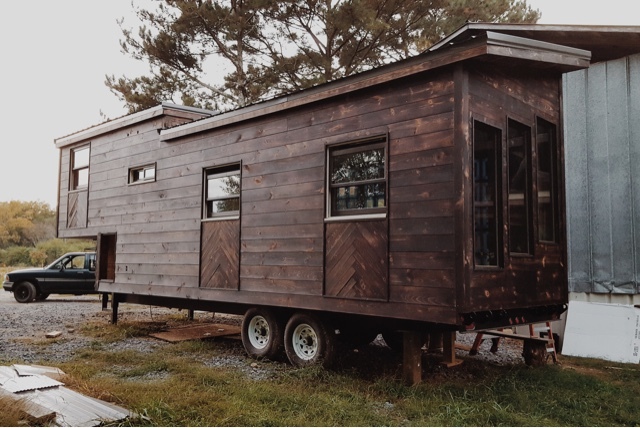 Do you have questions about our tiny house process?